After you've been diagnosed with sleep apnea, you're going to need to purchase CPAP equipment so that you can begin your therapy as soon as possible, and get on the road to a healthier life. While there are many CPAP suppliers ready to sell you CPAP equipment the moment you show them your prescription, you should take a little time to consider whether or not they are the most qualified provider for your needs. 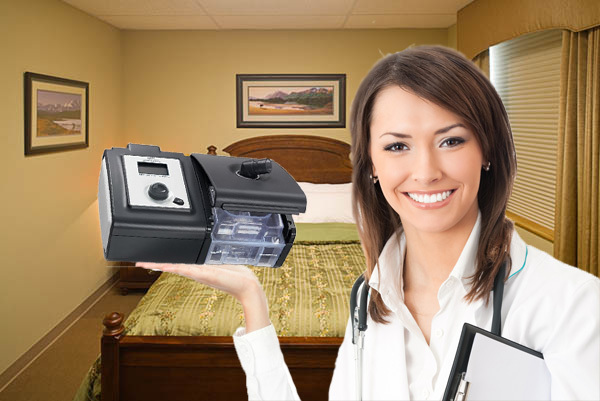 At The Alaska Sleep Clinic we want to make sure that you not only get quality CPAP equipment, but that you get your equipment from a retailer that actually cares enough to help educate you on products and therapy, as well as provides assistance in keeping you compliant with your treatment. That's why we have come up with some criteria that a quality CPAP provider should meet before you make your purchase. Whether you're buying your CPAP supplies from an online vendor or from the sleep clinic that performed your study, it's important that somebody is on-hand familiar with the equipment. When you buy CPAP equipment online, you run the risk (among many others) that the supplier doesn't know the product or the treatment very well. Make sure that any online vendor at least has a Certified Respiratory Therapist or a Registered Polysomnographic Technologist ( a credentialed sleep tech) on staff to walk you through your purchase. Your best bet for finding qualified staff is usually at the sleep clinic that performed your study. Here you will find staff that is already familiar with you and your condition. Many sleep clinics will have qualified durable medical equipment (DME) technicians on staff that have the professional know-how to calibrate your machines as well as show you how to fine-tune your mask and equipment to your comfort level. First-rate providers of CPAP equipment don't just sell you the equipment and show you how to use it properly, they educate you on CPAP therapy. You want a CPAP provider that can answer all of your questions and address all of your concerns. They should also be well adept at explaining why you need the equipment. There are severe consequences to not complying with CPAP therapy, and a dedicated provider will seek to ensure that you're aware of the necessity of using your device regularly. You want a provider who is kind, courteous, able to communicate with a wide range of different people, and above all else, someone who genuinely cares about your health and compliance to therapy. It's a sad fact, but approximately 55% of people given CPAP therapy as a treatment for their sleep disorder discontinue treatment after only a few weeks. Some find the mask uncomfortable, the air pressure difficult to deal with, or don't experience results quick enough to believe it's working. It's even more unfortunate that many CPAP providers believe their job is done once they sell you your equipment and explain how to use it, leaving it up to you to decide whether or not to continue therapy. Are you using your machine regularly? Have you had any leaks? Has your daytime drowsiness gone away? Is your mood and attitude improving? Is your quality of live improving? Patients whose sleep apnea is more severe are more likely to see improvements sooner than those with mild to moderate symptoms so it's important that your provider encourages you to set reasonable expectations of your therapy. Many CPAP providers also offer wireless monitoring of patient's equipment to verify CPAP compliance. With wireless monitoring a sleep technician is able to remotely monitor your equipment to check for leaks, usage rates, adjust pressure settings, and more. Wireless monitoring is often used for 6 months and helps keep patients active with their therapy. They will be alerted if there are any problems with their machines or when they need to replace parts and filters. It's been proven that if a patient can stay compliant for the first 6 months of therapy, they are far more likely to remain compliant long term. Most important, studies have shown that long-term compliance with CPAP can be predicted as early as 3-7 days. This means that addressing many of the issues with CPAP adherence should be addressed early on. Offering regularly scheduled support groups is another effective measure in CPAP compliance. Like many other support groups, just being around others with the same experiences and difficulties with sleep disorders can go a long way towards helping one see the importance of therapy compliance. Support groups are also great places to hear about new products and get helpful tips from others. It's amazing the impact sharing with others in the same boat as you can have towards adhering to your own therapy. When it comes to CPAP compliance, nothing beats having a team of professionals dedicated to helping you through your therapy. Next to a good CPAP mask the greatest factor in maintaining your CPAP therapy is proper education! At The Alaska Sleep Clinic we understand that success in treatment ultimately depends on a staff that is dedicated to properly educating patients on the importance of CPAP compliance. Rarely does a patient have an immediate moment of clarity where they grasp the significance their treatment is going to have on their life. Rather, the moment comes to them gradually like fog slowly evaporating beneath the rising sun. And at The Alaska Sleep Clinic, we want to get you to that moment, and we're here any time you need us.